Clare or Claire 😉 is a lucky woman who gets Santa early than us XD. Whoops! Well spotted Teresa, and duly amended. 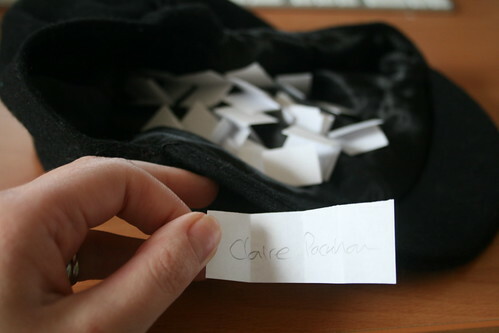 I love the fact you actually wrote out the names and put them in a hat! I like the suspense of the name-pulling here! if you have time – take a look and let me know what you think.